I am a follower of Hecate, also known as Hecate Kleidoukhos – Keeper of the Keys or Key bearer. The key she holds is the key to the underworld. Images show Hecate holding a key, a rope and a dagger as well as three torches. In her trifold form Hecate is often seen at a cross roads, where her offerings are left. For many years I’ve always had an attraction to keys. Before my dedication I collected keys. Today I have two altars. 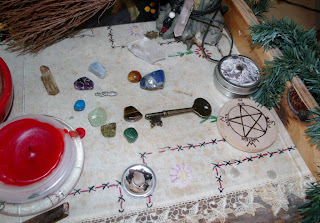 My ancestor altar and Altar to Hecate. 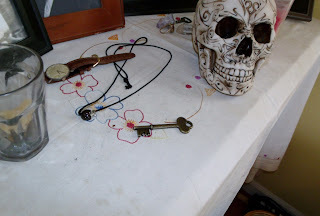 On my ancestor altar you can see my skull, the hand embroidered cloth belonging to my great grandmother and a lovely key. 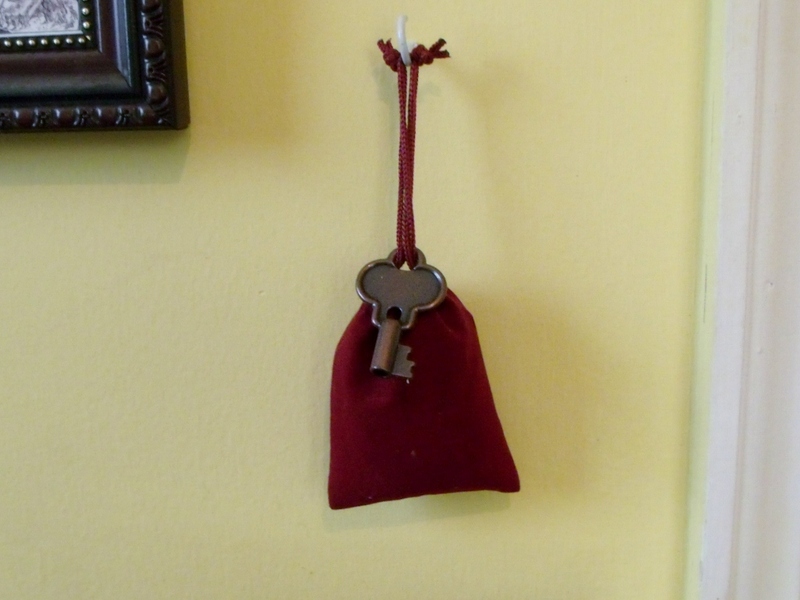 After my dedication I took my red cord and placed it in a small velvet satchel and tied a small key to the bag. It lives just above my altar. On my altar next to my salts tin and my wooden pentacle I have a small key to represent Hecate.